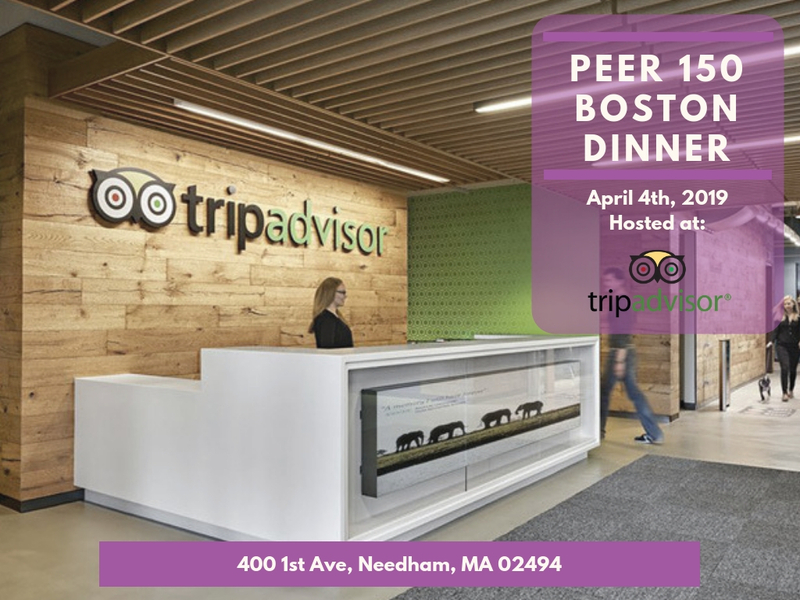 The Boston members of The PEER 150 are honored to host an evening of networking and content at TripAdvisor Headquarters. Attendance is open to senior human resources executives approved by our PEER 150 team. Attendees will be treated to a tour of TripAdvisor’s Headquarters led by Matt Gabree (Head of Office Experience, TripAdvisor) to get a sneak peek into this amazing work space and discover how it helps promote a positive employee experience. Beth Grous and Seth Kalvert will lead an interactive session highlighting TripAdvisor’s approach to philanthropy and social impact. In addition to their leadership roles, Beth and Seth both sit on the Board of Directors for the TripAdvisor Charitable Foundation. They will discuss how giving and philanthropy have become integral to the TripAdvisor’s culture, and how philanthropy and social impact intersect with the TripAdvisor external brand. Participants will be included in an open discussion focused on what companies should consider when integrating social impact and business objectives, and how to build a culture of giving back within your organization. Founded in 2013 by Janet Mullert and Wende Malster, M2 Partners is a boutique executive search firm, focused exclusively on the search and placement of Vice President and Director level Human Resources professionals across a broad range of industry sectors. From technology and life sciences to non-profit and financial services, M2 Partners has a history of working as closely with its candidates as it does with its clients, and many examples of long-term relationships with leaders who engage them to hire outstanding talent into their teams as well to help them when they are ready for a next step in their own careers. More information about their clients and completed work is available on their website at www.m2-partners.com.